Einar is part of Highland Park’s warrior series – created for duty free with a figure from Orkney’s Viking history. Overall it was easy to drink, enough sweet and light peat to be Highland Park, but for us, it clearly fell into the category of Duty Free No Age Statement (NAS) palate or, to use our newly coined term, was quite “NASPy“. Curious about other Highland Park whiskies sampled? I sampled it initially from a freshly opened bottle in a social context in August, then later with friends in September 2017 from a mini sample taken from the same bottle. 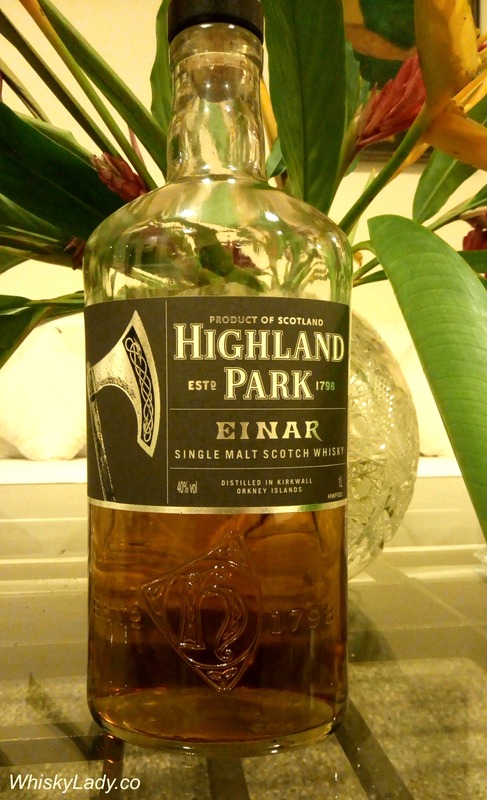 This entry was posted in Island, Scotland and tagged Highland Park, Highland Park Einar, NAS by Carissa Hickling. Bookmark the permalink.